Let’s see if this mask lives up to the gossip! As per Boscia’s website this face mask is ” An innovative peel-off mask that helps boost skin clarity and minimize the appearance of pores. Removes dirt and impurities, absorbs excess oil and reveals a healthy, glowing complexion. “Peel to reveal pore-perfected skin with the trendsetting Black Mask!” …..
Black masks, they’re everywhere! 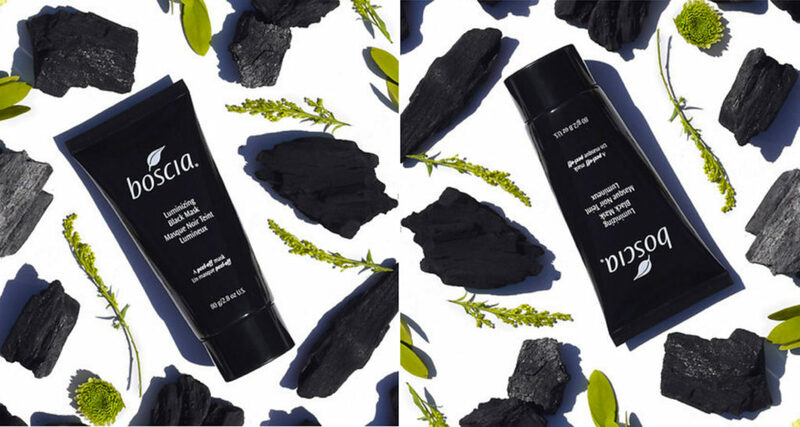 Activated charcoal is essentially the new coconut oil and different versions of this mask have hit the market faster than Planned Parenthood was defunded when Trump became POTUS. Applying this mask is like smearing honey on your face- yes I have done that. It’s SO sticky and requires some finesse. Once it’s evenly spread on your face let it dry. There’s a bit of a scent, but I didn’t find it the least bit overwhelming. Once the Boscia Black Luminizing Mask begins to dry it will tighten up significantly. Make sure the mask if FULLY dry before you decide to pell it off. My recommendation is to pell it off from the outside of the face inwards (not up or down). Start at the outer edges and gently peel in towards the nose. If there are any remnants of the mask after its removal, gently wash the face with warm water and gently pat dry. Opinion: I was SO excited to try this mask. Unfortunately, it wasn’t all it was cracked up to be. I found it fun to apply and fun to peel off. Had my skin been drier I would’ve felt as though it had a bigger impact, aka removing dead skin. Overall I think this mask is a bit of a fad, I’m rating it 2/5 as it did make my skin feel soft, and it was a fun mask to use, but for the money, you’re paying it’s a bit of a waste. There are much better masks on the market that will illuminate your skin and give you that so sought after glowing complexion. Sorry Boscia, better luck next product.